A little nostalgia for those of us who have been in the telecommmunications business for a while. 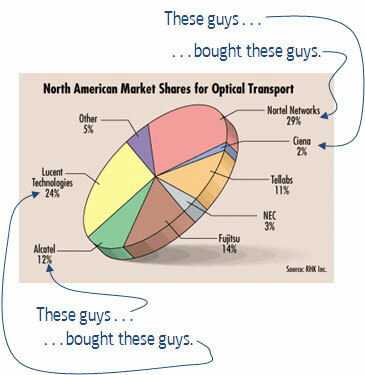 This chart is from a Lightwave article in 2000, with annotations from 2010. And the company with the second largest market share today (Huawei) isn't even on the chart. Inconceivable.